When we first heard of “The Bookery Nook”, we could only imagine that the bookstore was as fun as its playful name. And boy was it ever. From the great corner location to the cozy vibe to the incredible decor, The Bookery Nook is just one of those places that makes you smile instantly. Upon meeting owner Shannon Piserchio, who is just as delightful and inviting as the store itself, we fell in love with the story & the philosophy of their newly renovated bookstore. After getting laid off from her insurance job over a year ago, Shannon decided it was time for a change. 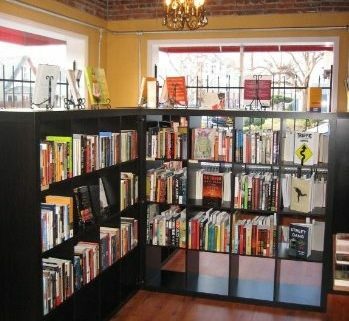 She and her husband, Gary (both avid book readers and writers), decided to open a bookstore. They wanted to create a place where people (and their dogs) can wander in and feel at home. And it is certainly that. 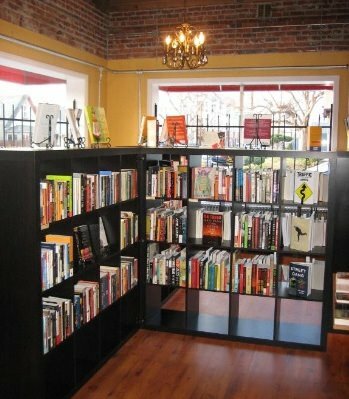 The Bookery Nook will be celebrating their Grand Opening on Saturday, May 9th & are hoping people will drop by in support of independent bookstores & small businesses. The Bookery Nook will also kick off their community outreach program called A Book in Hand in conjunction with The Colorado Coalition for the Homeless. A Networking Event You’ll WANT to Attend! Zocalo Does it Again!